Lisa Ellis Design is a full service design firm offering architectural and interior design services for both commercial and residential applications. Our sister companies are interior design showroom Hawthorne House and SCOPE Lighting Group. SCOPE Lighting Group is a project-based lighting design and specification company applying cutting edge applications to interior environments. Tasks in all positions will also apply to SCOPE. Lisa Ellis Design is seeking a CAD Drafting Specialist. Part-time, full-time or freelance positions available immediately. Further opportunities could exist with our sister company SCOPE Lighting Group in the areas of drafting as well as lighting design and 3D photometric planning. Work in-house in our Five Points Office or remotely. Proficiency in AutoCAD and SketchUp required; knowledge of Photoshop and other graphic design programs a bonus. Must be proficient in Excel and Apple operating systems. Experience in construction documents and architectural drafting is a must. Perform site visits for measurement verification as needed. Qualified candidates should submit a cover letter, resume and work samples to be considered for the position. Your information will be held in the strictest confidence. Submit to project@lisaellisdesign.com. 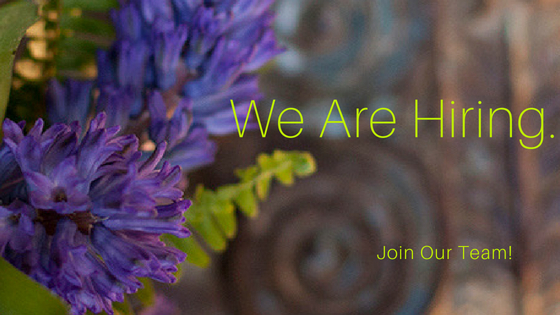 Lisa Ellis Design is seeking a detail-oriented Design Assistant/Project Coordinator to work directly with the Senior Designer on all commercial and / or residential design projects, and coordination of all three related businesses: Hawthorne House, Lisa Ellis Design, and SCOPE Lighting Group. Must be an ambitious self-starter willing to take initiative in a diverse range of projects operating in a fast-paced environment. This person is a problem solver who thrives in checklist completion and putting out fires. This job is equal parts project coordination/administration and design. Strong communication and leadership skills, as well as confidence, are a must to succeed in this position. Must be proficient in Excel and Apple operating systems. Working knowledge of AutoCAD, Sketchup, and Photoshop would be a bonus. Qualified candidates should submit a cover letter and resume to be considered for the position. Your information will be held in the strictest confidence. Submit to project@lisaellisdesign.com. Lisa Ellis Design has EXCITING OPPORTUNITIES for Junior- and Senior-level designers who possess talent, energy, technical skills, organizational ability, and client focus. Qualified candidates should have experience with the interior design process from conception through installation, and the ability to work in a fast-paced, flexible work environment. Primary responsibilities include architectural drafting, project management, furniture and fabric sourcing, vendor coordination, client communications and construction specification. The ideal candidate should be a team player who possesses a sophisticated eye for design, and a willingness to contribute creatively to a wide variety of residential and commercial design projects. Must also be comfortable with on-site visits and installations. Candidate must be self assured and able to lead times and hold subcontractors and vendors accountable. Lisa Ellis Design is seeking an on-call or part-time CAD Drafting Assistant with potential growth to full-time employment. Further opportunities could exist with our sister company SCOPE Lighting Group in the areas of drafting as well as lighting design and 3D photometric planning.